Visitors to any natural history museum encountered intense evolutionist propaganda. 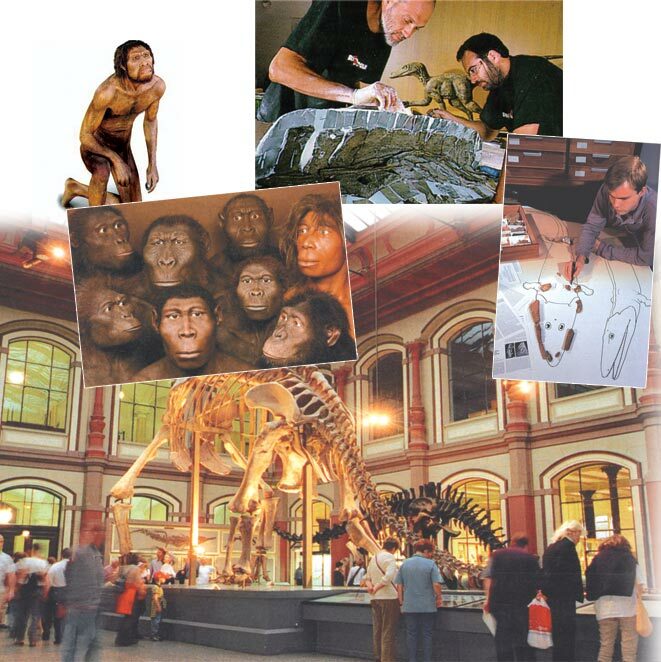 They are shown imaginary reconstructions and false handmade bones that supposedly belong to our imaginary forebears. A single fossilized fragment of a once-living thing, which constitutes no evidence for evolution, is depicted as highly important "intermediate form evidence" of the fictitious transition from fish to amphibian. A rib bone—that obviously confirms the fact of Creation but which evolutionists misinterpret and portray as "proof of evolution"—is exhibited with enormous pride. 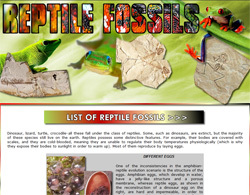 Based on the detailed descriptions of supposed fossils and the Latin names given them, a great many of those who examine these things are convinced that they are dealing with an evolutionary fact. Yet the museums' true objective is to give the impression that something exists when in fact it does not, and to display propaganda regarding something that has no existence at all. 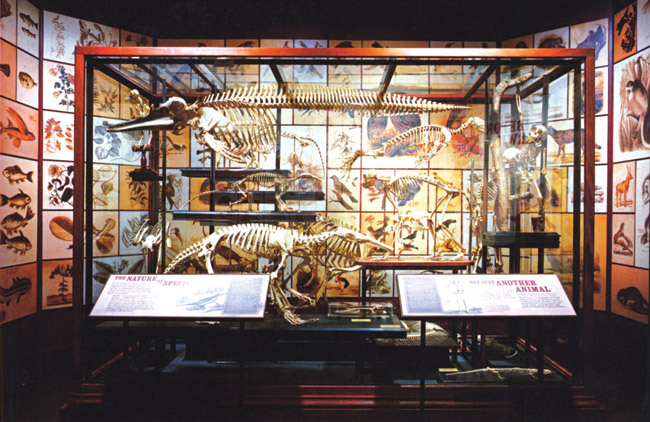 Evolutionists imagine that they can attain their objectives by these methods, because museum visitors are unaware that there is not one single intermediate-form fossil to support the theory of evolution—and that living fossils that have remained unchanged for millions of years, contrary to the claims of the theory of evolution, lie concealed in storage areas, often directly beneath the displays themselves. 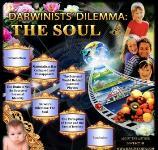 In fact, the efforts made by evolutionists are all hollow. 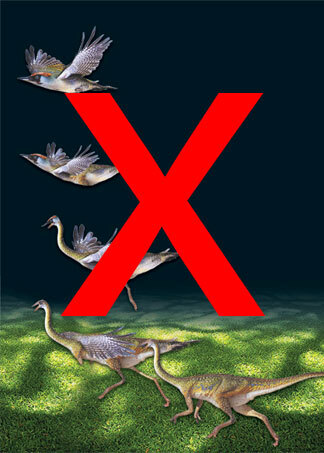 No intermediate-form fossils documenting evolution on Earth have ever been discovered. There remains not the slightest trace of these imaginary, peculiar and semi-developed creatures that should have existed over the course of millions of years. 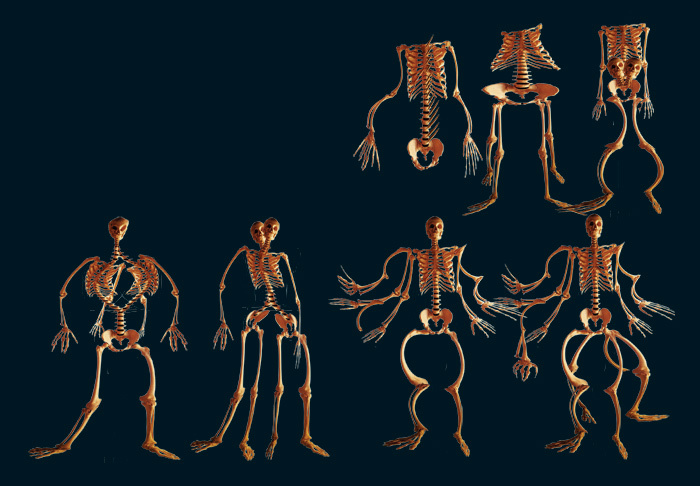 The evolutionary process is merely a belief—a hope that Darwinists wish would come true. Yet the fossil record has never permitted this dream to become a reality. Countless fossils have been unearthed from just about all over the world. Yet the intermediate-form fossils that were missing in Darwin's time are just as absent today. And it is impossible that they can ever be found, because evolution has never happened. 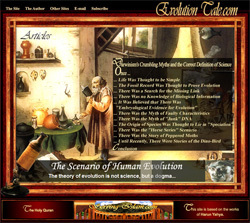 By inventing fictitious theories, constructing their own imaginary intermediate forms out of plaster and bakelite, and producing "reconstructions" and "artist's conceptions" to illustrate the supposed lives of those intermediate forms, Darwinists seek to breathe life into a supposed evolution. The fact is, however, that their efforts can never bear fruit. Conditions now are different from those in Darwin's time. 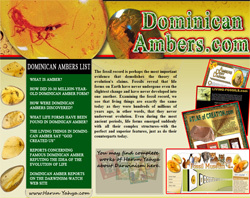 Scientific facts are now emerging into the light, and new discoveries constantly reveal proofs of the fact of Creation. 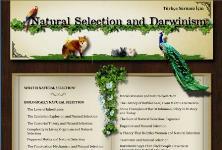 No Darwinist can any longer maintain that the fossil record is insufficient. Scientific data and the fossil record have revealed incontrovertible facts. The absence of any intermediate fossils is too obvious for evolutionists to cover up any longer. 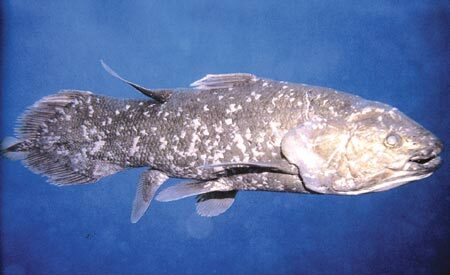 The coelacanth, which has survived unchanged for 400 million years. In the strata in which they conduct their hunt for intermediate-form fossils, Darwinists continually find fossils of living things that never underwent any changes over the course of millions of years and were never subjected to evolution. 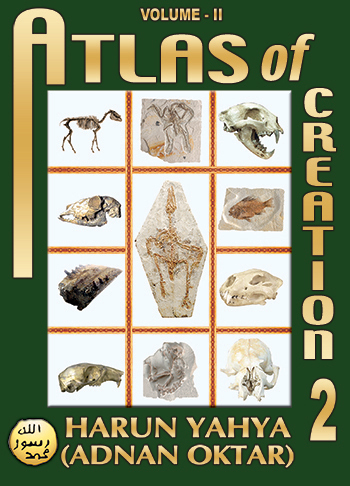 The proofs of the fact of creation number millions every day, but the intermediate-form fossils that evolutionists have been expecting with such anticipation are nowhere to be seen. They have therefore had to make do with portraying what are actually proofs of the fact of creation as being intermediate-form fossils. 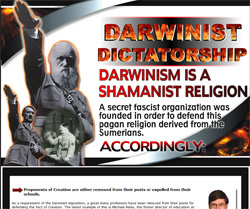 Using various propaganda techniques, they attempt to depict highly developed and complex life forms dating back millions of years as evidence for their own theory. 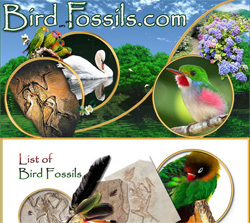 By submitting their biased interpretations of fossils, they tried to describe a bird's highly developed, complex wings as merely "developing," and the fins of a fish as future legs of a creature preparing to emerge onto dry land. 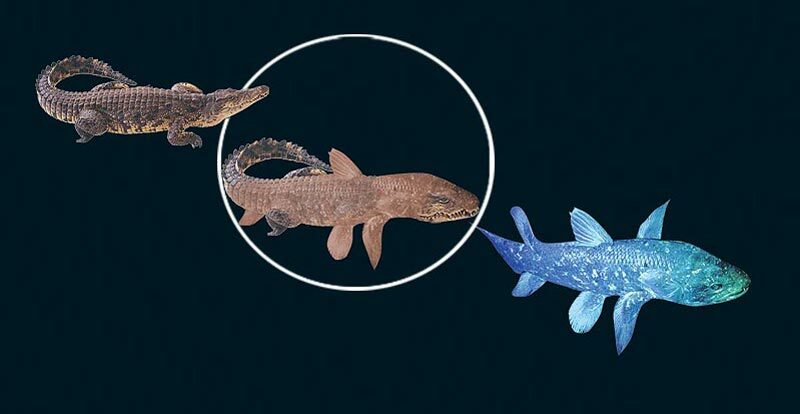 By such means, they sought to portray the coelacanth as an example of the transition from water to dry land, and Archaeopteryx as a reptile moving from the ground to the air. 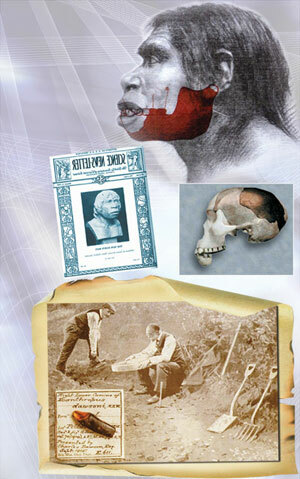 Right: Excavations at Piltdown, birthplace of the Piltdown Man scandal. Despite their total lack of evidence, evolutionists still maintain that "Living things evolved." This claim involves millions of species that cannot possibly have existed, much less emerged. Yet evolutionists maintain that they developed during the course of a process—evolution—that cannot be explained. The impossibility of protein emerging spontaneously in a mindless environment has been proven. Yet according to evolution, such a miracle did take place, and protein came into existence as the result of chance. It is also impossible for all the cell's organelles to have come into being together coincidentally. Yet according to evolution, that is just what happened. That miracle also took place—leading to the cell nucleus, genes, DNA, enzymes and countless other complex structures that cannot be produced artificially today, even under controlled laboratory conditions. Yet according to evolution, they all emerged through blind chance. Proteins are complex molecules that constitute the building blocks of living cells and which also undertake important responsibilities inside them. 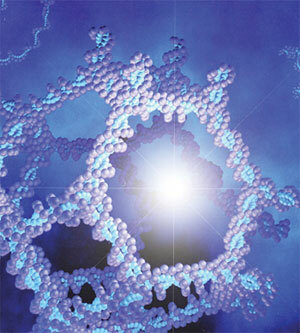 The odds of the average protein molecule emerging by chance are 1 in 10950. (In practical terms, this number represents zero probability.) Mathematicians, too, have thus dealt a serious blow to Darwinism. 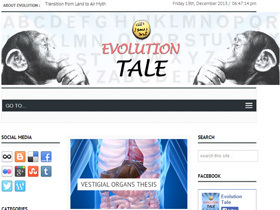 Evolutionists are now sorting through the fossil record for any traces of this process and the changes involved. Yet again according to evolutionists, yet another miracle must have taken place—and all these traces in the fossil record have disappeared! 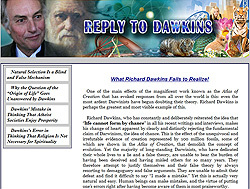 The logic involved in their argument is this: Evolution emerges from a list of millions of impossibilities that, according to evolution, came about as the result of blind, unconscious coincidences. Darwinism, though it denies God and any supernatural events and phenomena, has no qualms about claiming that millions of living organisms came into being through a series of miracles. Thus the theory of evolution, portrayed as scientific, is in fact a belief that adopts countless miracles and coincidences as its multitudinous deities. The theory of evolution has been unable to prove that a single protein could have come into existence spontaneously. It's unable to point to a single intermediate-form specimen demonstrating that a living species evolved. The theory is refuted by its own two most important foundations—and is in a big predicament that cannot be erased by covering up the lack of intermediate forms in the fossil record and concealing examples of living fossils, whose number rises with every passing day. On the contrary, faced by this lack of evidence, Darwinists keep expanding their fraudulent methods. But people are becoming much more aware that evolution keeps being taught for entirely ideological reasons, not scientific ones. 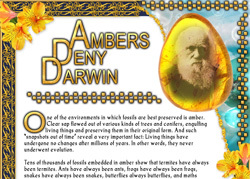 Darwinists want to give the impression that intermediate-form fossils exist when they truly do not, and they hide proofs of the fact of Creation away in museum vaults. Why? The reason is obvious: They are well aware of the countless and incontrovertible proofs of the existence of God, the Lord of all the worlds. And since they are struggling to deny the existence of God, they attempt to conceal the facts. 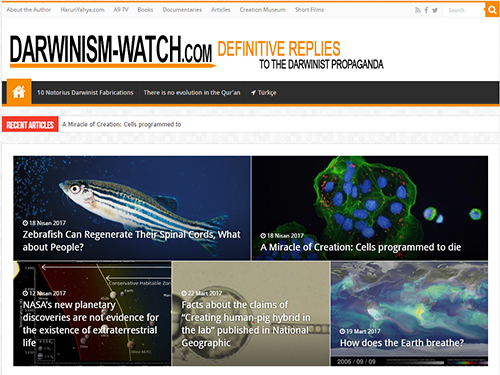 owever, God manifests His own existence with countless proofs—and constantly foils Darwinists' plans. 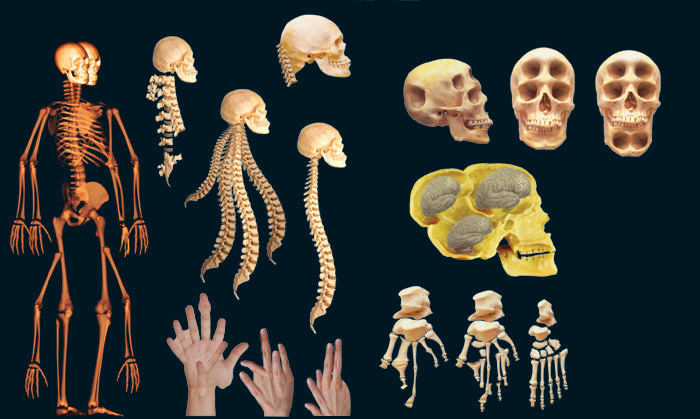 Evolutionists Claim That Intermediate-Form Organisms With Abnormal Structures Once Lived, But Not A Single One Of Their Fossils Exists. According to evolutionist claims, all living things—and all the organs they possess—formed as a result of random mutations. If that were so, an organ beginning with an abnormal structure should have been subjected to many mutations while its functions were developing. Any such organ should have assumed one abnormal state after another at each and every stage. Before assuming the perfect and pleasing appearances they display today, the living things in question must have endured abnormal structures and looked very ungainly. For example, before the highly symmetrical human face emerged with its two ears, two eyes, nose and mouth, there must have been a very large number of abnormal faces with imperfect symmetry, with several ears and eyes, a nose between the eyes or on the jaw, with some eyes on the back of the head or on the cheeks, with a nose where an ear ought to be, extending as far as the neck, and millions or even billions of other defects. Indeed, before that stage was ever reached, there must have been odd life forms with an ear on the soles of their feet or an eye in their back, their mouths on their stomachs, with two or three brains, unable to stand because they had not yet developed knee caps, with three or five arms on one side of their body instead of one, or whose foot bones ran from side to side instead of back to front to enable them to stand properly. This fact is a clear expression of the collapse of the theory of evolution. No rational person can possibly espouse the theory in the hope that these exceptions will one day be found, even though every fossil discovered over the last 150 years refutes the theory of evolution. One hundred and fifty years have gone by, no fossil bed on Earth has remained unexcavated, and millions of dollars have been spent. 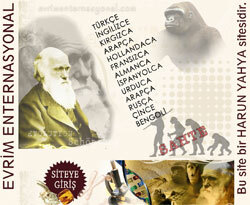 But the transitional fossils that Darwin expected have not been found. On the other hand, we do have millions of "living fossils" that reveal the fact of Creation. The eyes have been placed in sockets, which are inserted in the skull, surrounded by special tissues on a protective bed of fatty tissue. They are protected by the nose, muscles and upper cheekbones.
. In addition to being well protected, the eyes have been located in a region of the body that permits the most comfortable and efficient form of vision. What would happen if the eyes were located somewhere else in the face—under the nose, for instance? This would present the danger of possible injury and also give the face an unpleasant appearance. In terms of sight, our vision would be far more limited than it actually is.
. In all respects, the fact that the eyes are ideally located and shaped symmetrically is also excellent in aesthetic terms. The average distance between the eyes is the width of a single eye. When this proportion is altered—that is, when the distance between the eyes is greater or smaller than that, then the whole expression of the face is altered. However, evolutionists claim that the eye gradually came into possession of its flawless structure under the effects of random mutations. 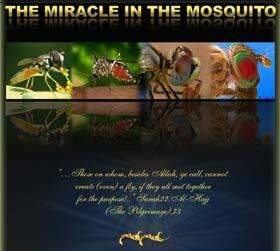 According to this claim, a succession of random and unintentional coincidences took place over the course of millions of years and therefore, the eye underwent millions of different abnormalities before finally attaining this final immaculate structure. For example, there should have been eyes that emerged on human beings' feet or backs rather than in their heads, in large numbers resembling insects' compound eyes rather than two eyes arranged symmetrically, that soon became blind because they possessed no tear glands, that light could not pass through because the cornea was not transparent and therefore made vision impossible, or that lost the ability to see in the event of even a small change in the light because the iris had not yet emerged. Furthermore, these are just a few of the possible abnormalities. 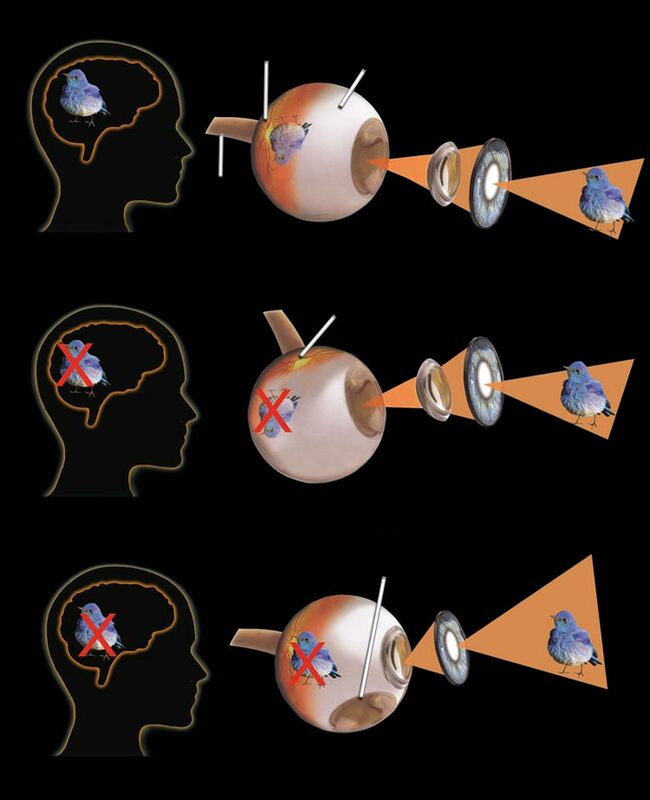 Bearing in mind all the eyes' components and their functions, we can imagine millions of possible defective eye forms. The eyeball contains a transparent, jelly-like fluid that permits the easy transmission of light. The cornea is transparent and convex. The lens expands or contracts depending on the distance of the object on which it focuses. If the retina were located in the upper part of the sphere . . .
Then the lens would have no tissue "screen" to receive its image, and no image would be transmitted. 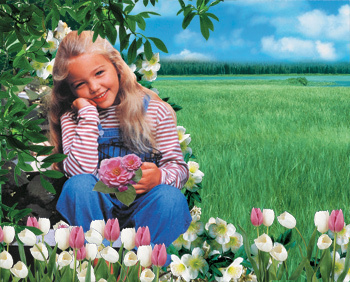 If the pupil opening under the lens were located anywhere else, no image could form. The fact is, however, that to date not a single fossil specimen with such abnormal and defective eye structures has ever been found. All the organisms in the fossil record possess their own perfect visual systems. This shows that the theory of evolution's claim of living things coming into being through minute changes is a deception.